We’re putting a coffeehouse twist on Girl Scout cookies with our new recipe: Samoas® Latte. 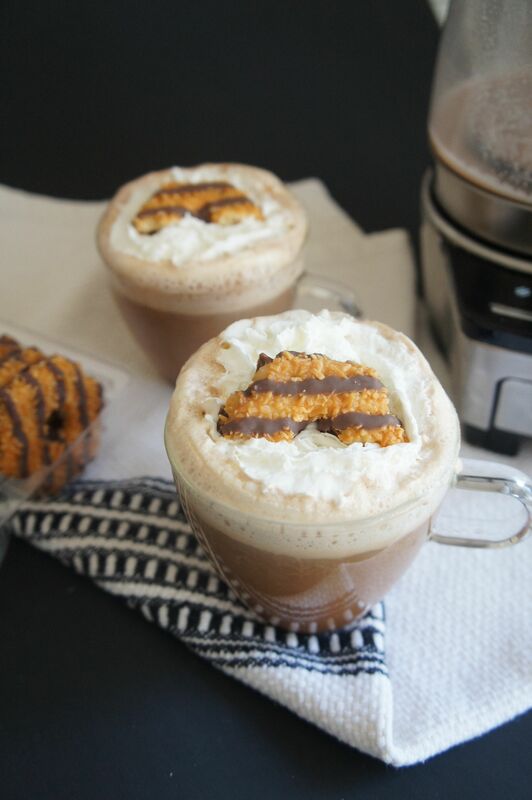 Inspired by the Samoas® Girl Scout cookie, this recipe can be prepared in a few simple steps with your Capresso froth TEC. Place frothing disk into the froth enhancer of your Capresso froth TEC and ensure it is securely snapped inside the bottom of the pitcher. Add coconut milk and caramel syrup to frothing pitcher. Place lid and press the Warm button. After about 2 minutes, add the hot chocolate mix to the pitcher. Wait for frother to automatically shut off. Pour 2 ounces of espresso into each glass, and then fill glasses with steamed milk mixture. Top with whipped cream and a Samoas® Girl Scout cookie.